15 Creative Door Handles and Innovative Door Handles Designs - Part 2. Why settle for something less when you have these cool and innovative door handles to choose from. 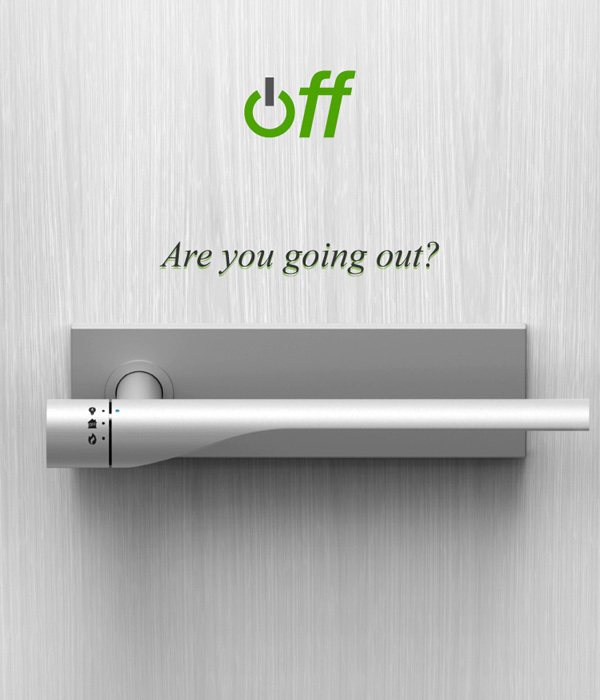 Off - Door Handles: An innovative concept that integrates 'Off' into the door handles. It comes with 'Off' installed in door handles with connections to your mains like gas supply and electricity. 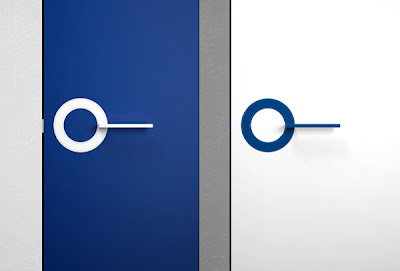 And you can switch off both or either one of the services by simply rotating the dial and flip it back to activate it all. 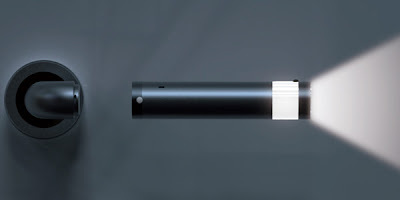 LedoorHandles: LedoorHandles comes integrated with removable light; it also doubles up as a fancy light fitting. 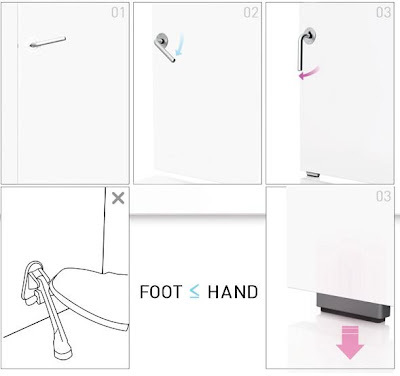 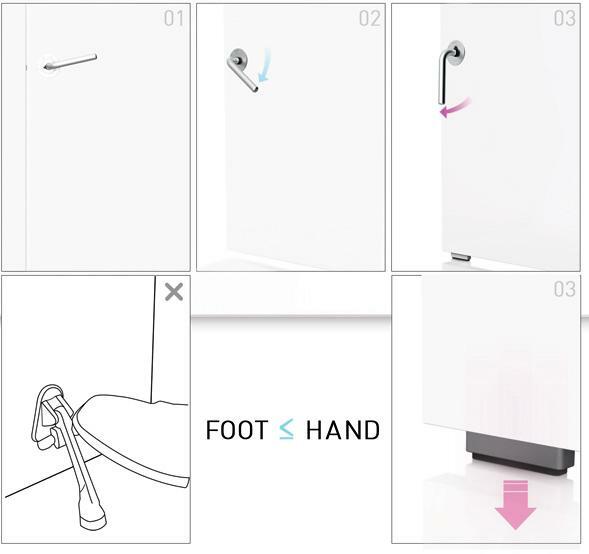 Door Stopper Handles: Its simple, functional and clever way to pull down the doorstopper without having to bend over or using your foot. 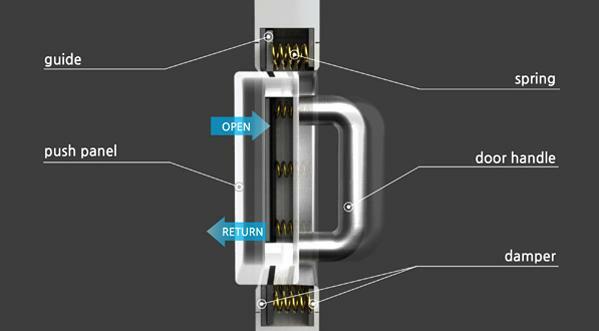 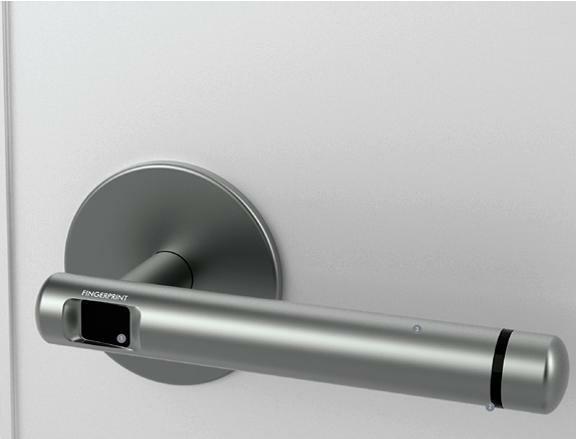 This door handles system integrates the stopping mechanism into the handles itself. 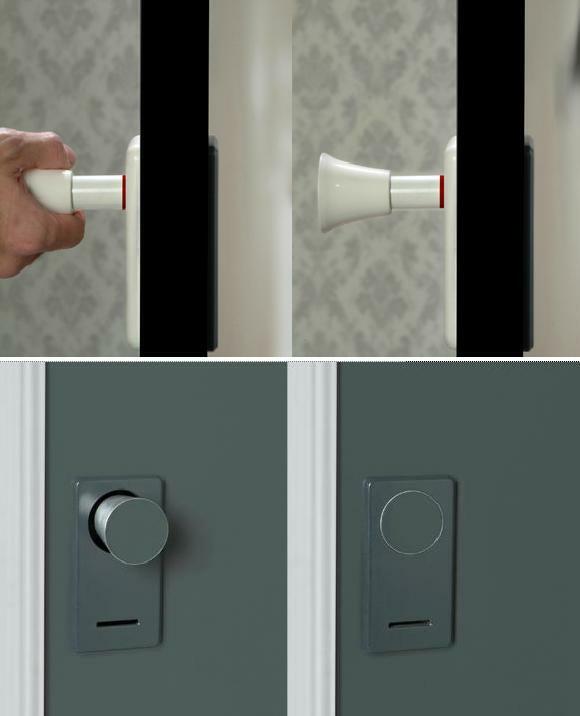 In and Out Door Handles: On the "push" side, there is a flat panel while the handles are on the "pull" side; its designed to get over the need for "Push" and "Pull" stickers. 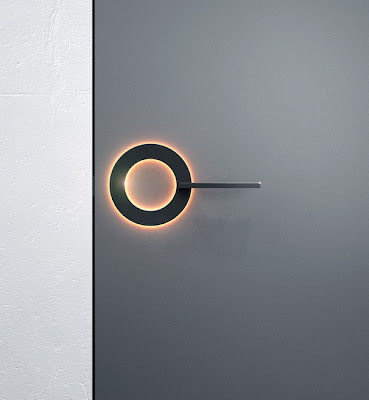 ORB Door Handles: Designed by M Samoriz for Umbra Design, it comes integrated with light ring; the light up ring indicates the room is in use/occupied. 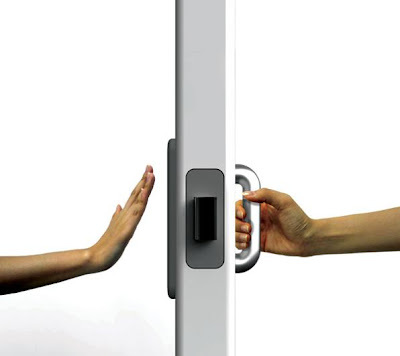 Grabit Door Handles: Grabit door handles come integrated with fingerprint recognition lock. 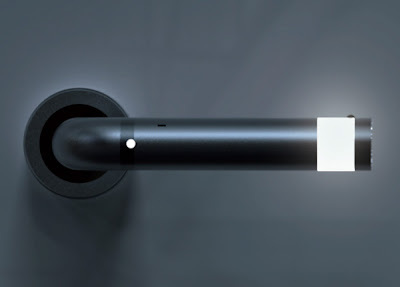 Animal Door Handles: These door handles designed by Roohollah Merrikhpour takes its inspiration from animals. 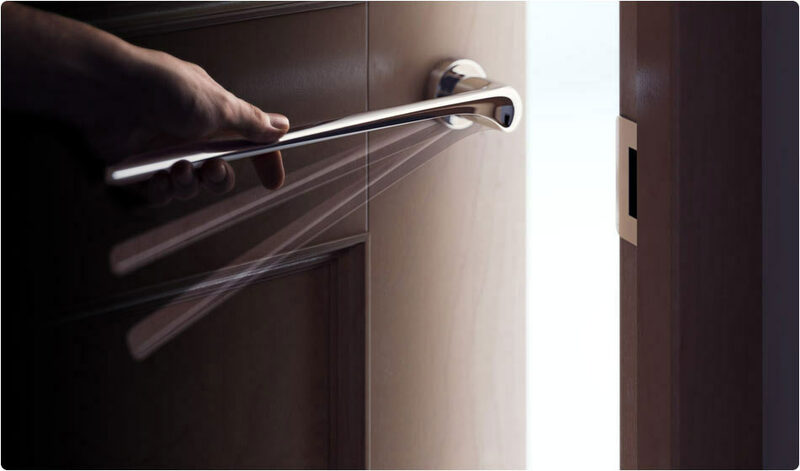 Leverus Door Handles: An interesting concept by Art Lebedev Studio, the elegant Leverus door handles featuring extra length allows you to open the door with a slightest touch or even an elbow. Wrench Door Handles: Cool door handles that uses the wrenches as handles while its functioning perfectly alright. 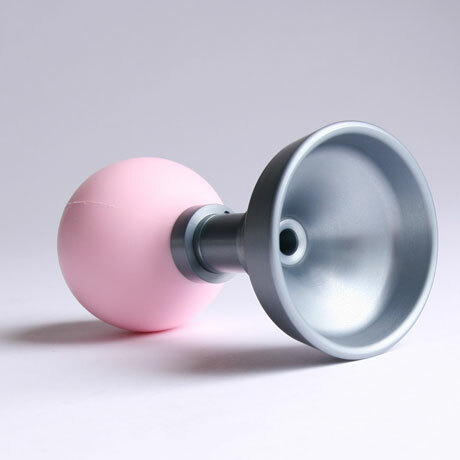 Cone Door Handles: Cool door handles come with hollow metal handles that doubles up as a holder for messages. 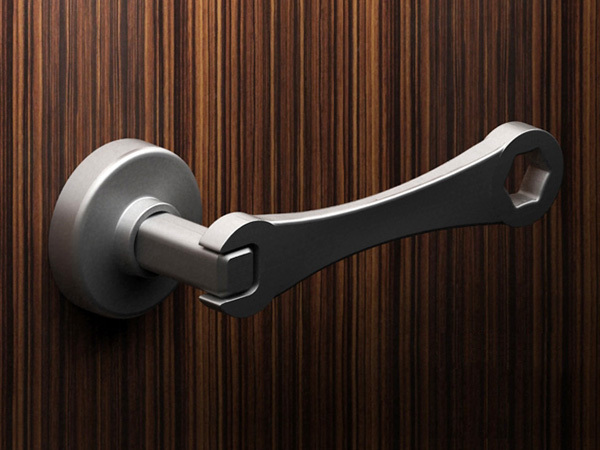 Kobu Door Handles: Designed by Italian designer Diego Amadei; its flexible stem allows you to modify the shape, creating new uses and functionality with few movements. Doorbell Handles: Creative door handles 'Doorclaxon' doubles up as doorbells. 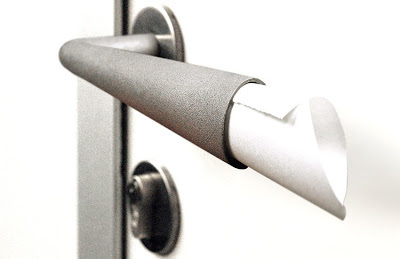 Clip Door Handles: Cool door handles double up as clips that can hold messages. 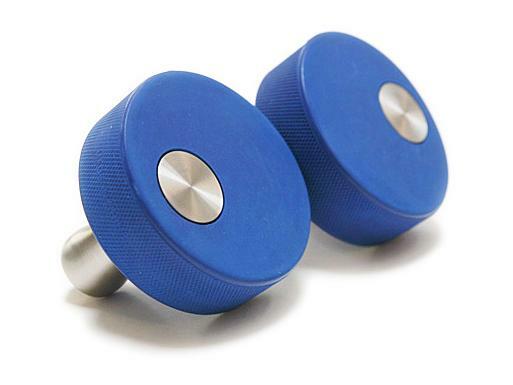 Puck Pivot: These puck door knobs are crafted from hockey pucks that puts the fun in functional art. 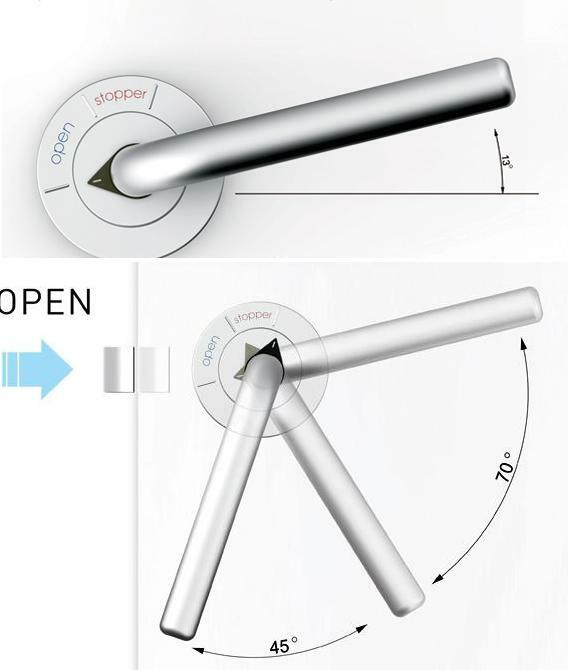 Don't miss to check out "Creative Door Handles and Innovative Door Handle Designs - Part: 1| 2." 25 Cool and Creative Rings - Part 2. 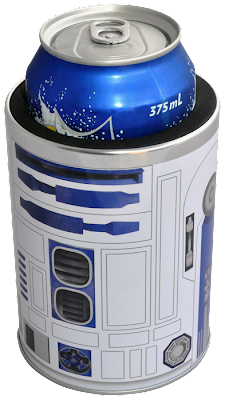 Creative and Cool Coffee Sleeves, Carriers and Holders. 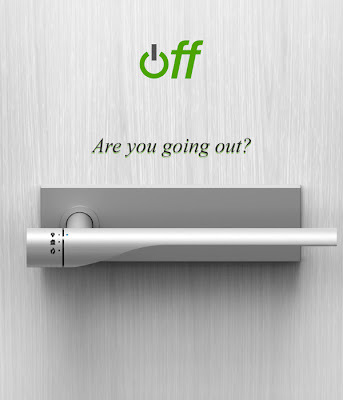 14 Cool and Creative Advertisements Inspired by Straws. 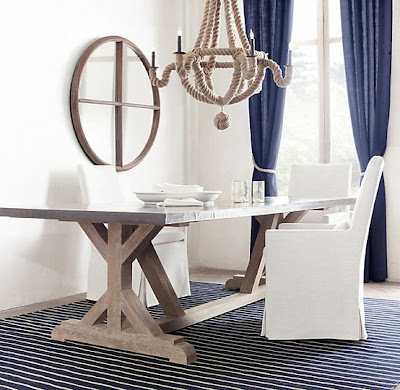 15 Creative and Cool Nautical Inspired Products and Designs. 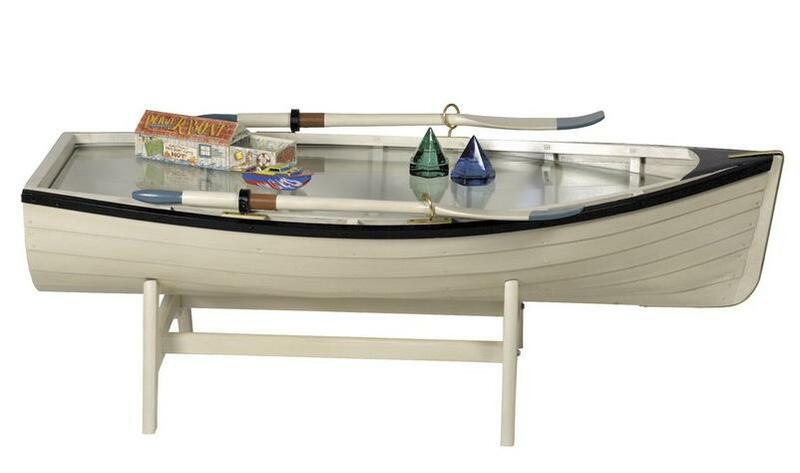 Collection of 'Creative and Cool Nautical Inspired Products and Designs' from all over the world. Yacht-Shaped Showers: A modern garden shower by Garvida - Velaro; it's made from handcrafted quality synthetic wicker fiber and looks cool in any corner of your garden. 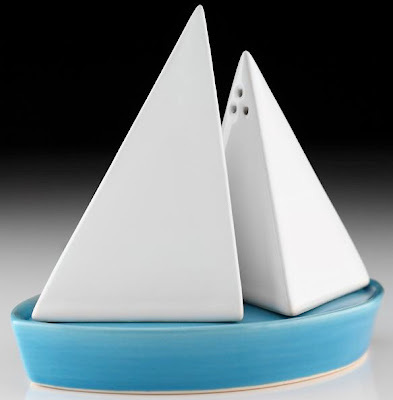 Salt and Pepper Yacht: Designed by Takae, these salt and pepper shakers are modelled after a sailboat. 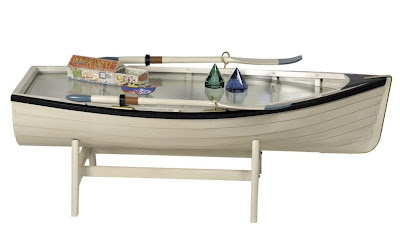 Nautical Rowing Dory Coffee Table: It looks like a rowboat, can be used like a coffee table. 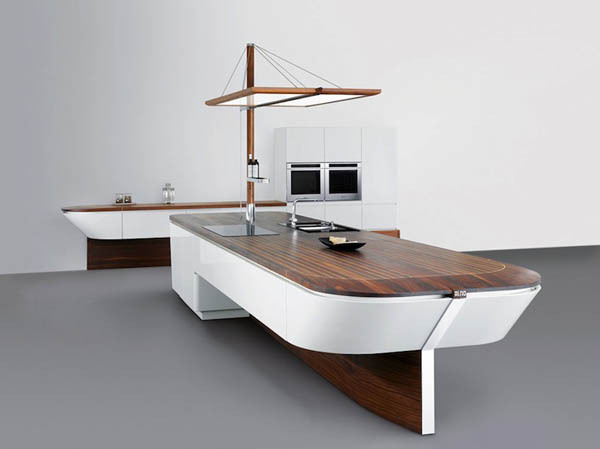 It comes with removable shelves that allow you to set the table on end and use it as a bookshelf. Marecucina Kitchen Concept: This yacht-inspired Marecucina kitchen concept from Alno looks perfect for adding a nautical theme into the kitchen. "Paper Boat" Table Top ServingSet: The cool set comes with salt and pepper shakers resembling buoys, and the bowls suggest a folded paper boat. Mola Bench: Mola bench by designer Andrija Vecenaj comes with a nautical touch. 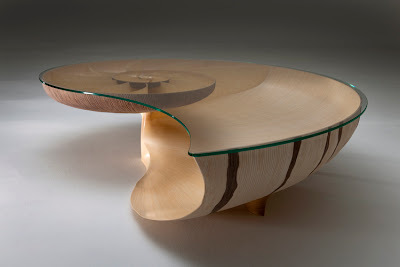 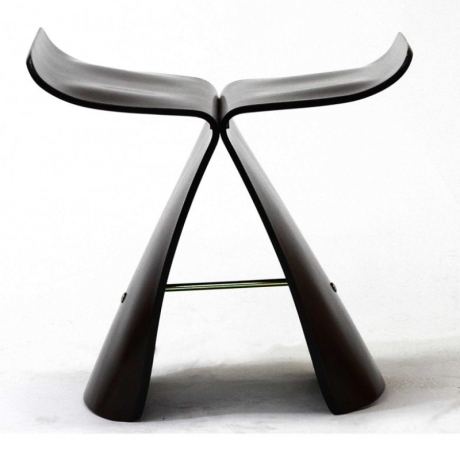 Nautical-Inspired Furniture by Marc Fish: Creation of Marc Fish, a UK based furniture designer. 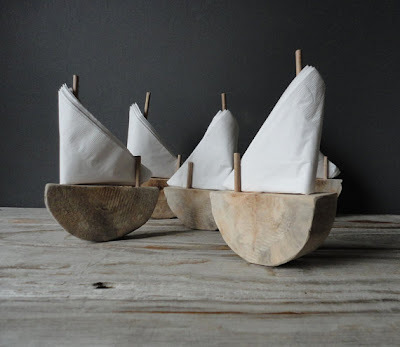 Sailboat Napkin Holder: Along with napkins this cool wooden napkin holder looks like a sailboat. 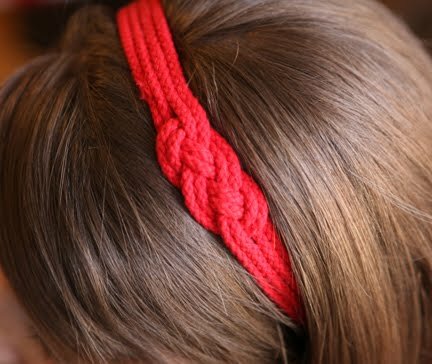 Nautical Headband: Make your won nautical headband following the pictures showing you step by step how to make the sailor's knot. Nautical Inspired Light Fixtures: These nautical inspired light fixtures can be used in variety of spaces and in versatile styles. Nautical Lantern: A creative nautical inspired idea by Denise Hill, who turned ordinary lanterns into nautical show pieces. 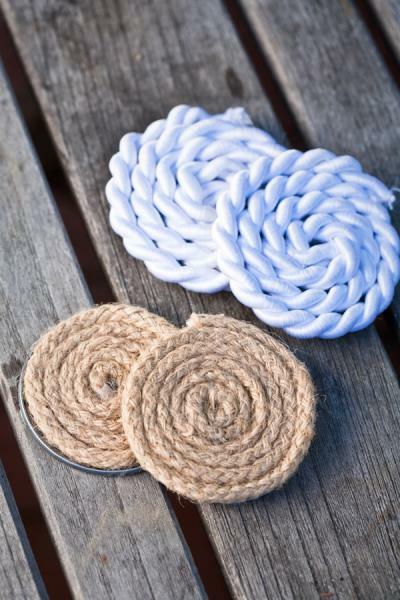 Nautical Rope Coasters: Make your own cool nautical rope coasters by following the instructions. Nautical Rope Vase: Make a cool vase using a nautical rope. 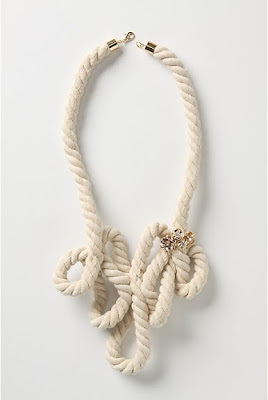 Nautical Necklace: Follow the instructions given to make a cool nautical necklace. 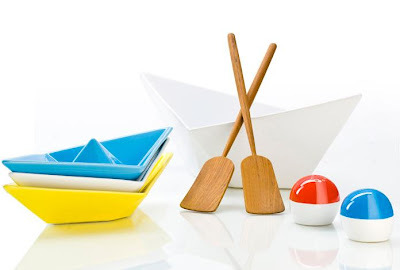 15 Creative Dish Drainers and Modern Dish Racks. 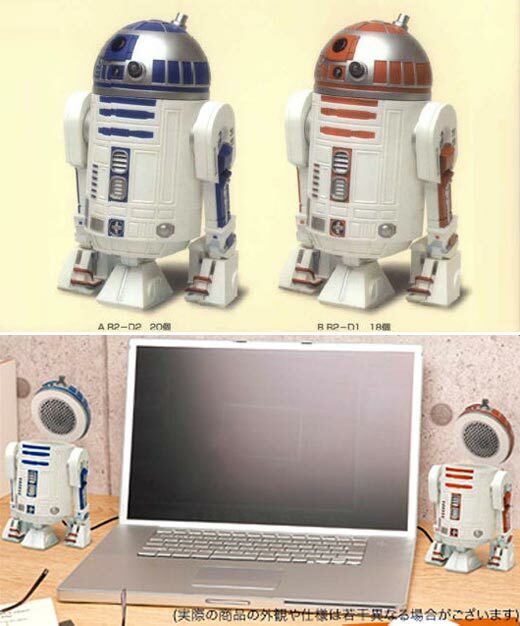 15 Creative Bed Sheets and Cool Duvet Designs - Part 4. 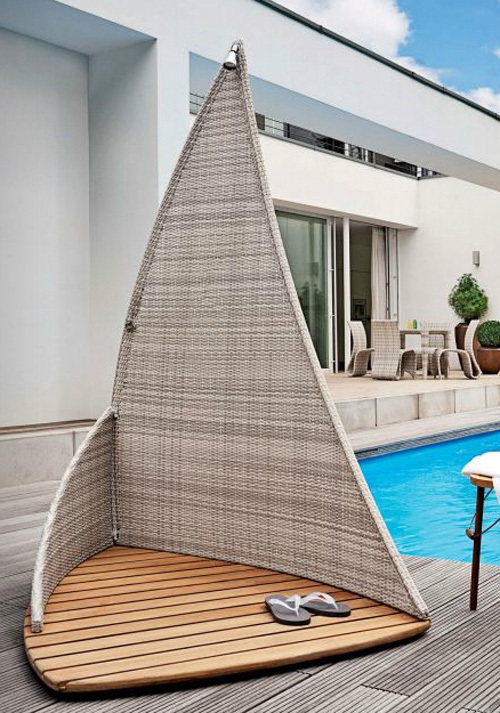 15 Cool Umbrellas and Creative Umbrella Designs - Part 6. 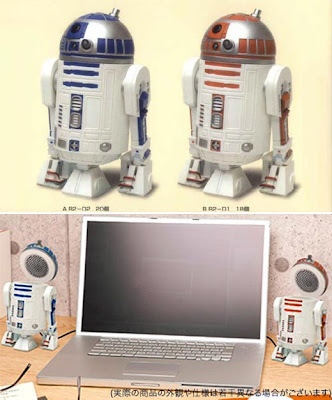 15 Cool Fridge Magnets and Creative Fridge Magnet Designs - Part 4. 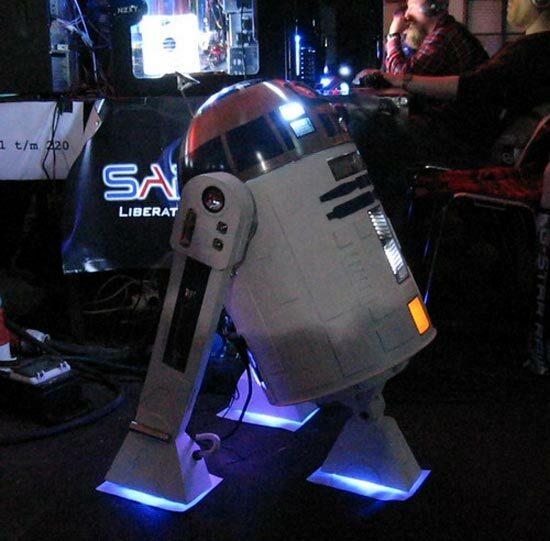 Collection of 'Creative and Cool R2-D2 Inspired Gadgets' from all over the world. 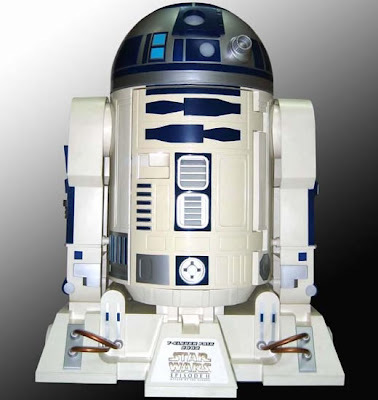 R2-D2 Fridge: Only 1000 copies of these were made and were intended as a award for a contest, held at 7-11 stores in Japan back in 2002. 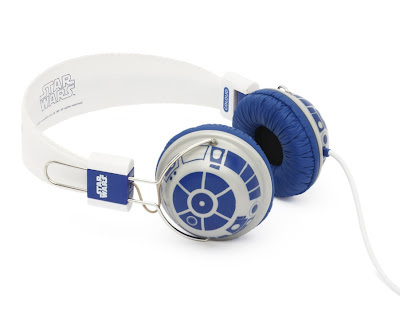 R2-D2 Headphones: These headphones look really cool! 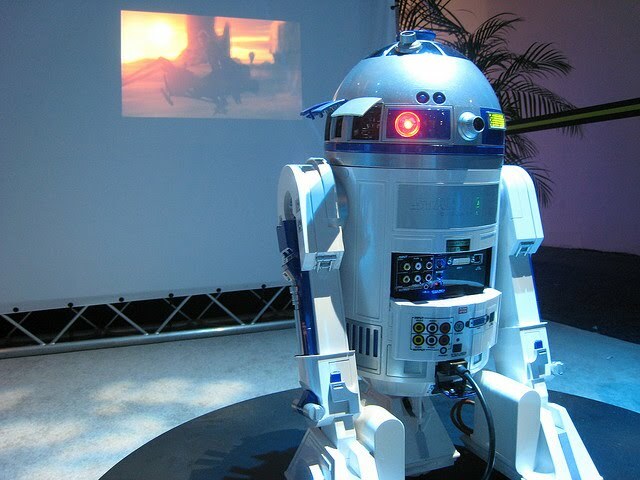 R2-D2 Home Video Projector: It's a complete home entertainment system, it includes a projector, an iPod docking station and a DVD player. 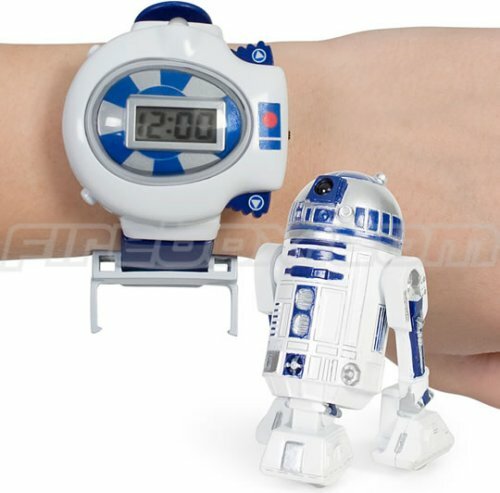 R2-D2 Watch: This watch uses a little transmitter that lets you control a miniature version of R2-D2. 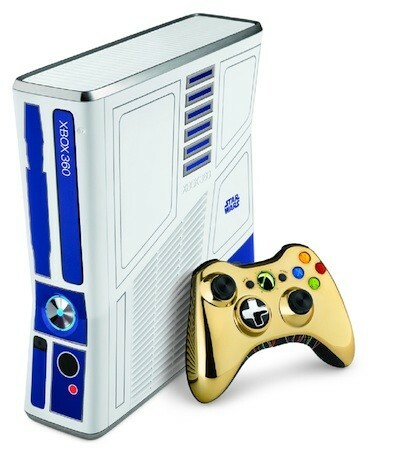 R2-D2 Xbox 360: R2-D2-themed Xbox 360 and accompanying gold C-3PO controller, are part of a new Starwars Kinect bundle from Microsoft. 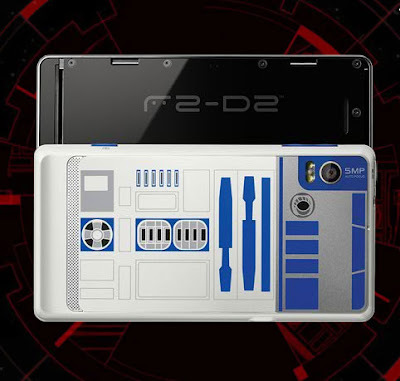 R2-D2 Motorola Limited Edition Smartphone: This limited edition Motorola R2-D2 smartphone comes in R2-D2 style. 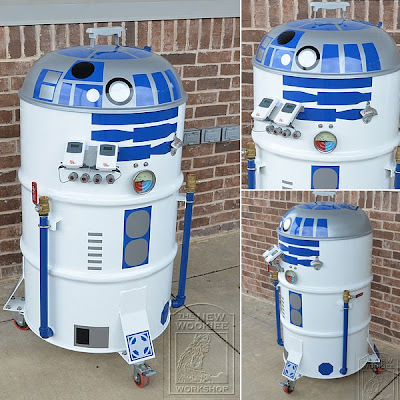 R2-D2 BBQ Smoker: It is constructed from a 55-gallon drum. 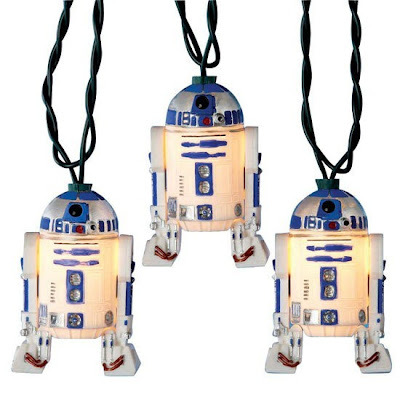 R2-D2 Lights: Each set consist of 22 lights, perfect for home decoration. 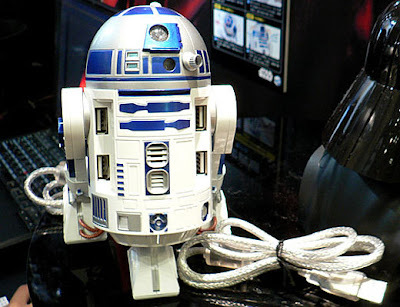 R2-D2 USBdrive: Its design is inspired by R2-D2 with a lot of details, though its only USB 2.0 and comes with max of 16GB capacity. 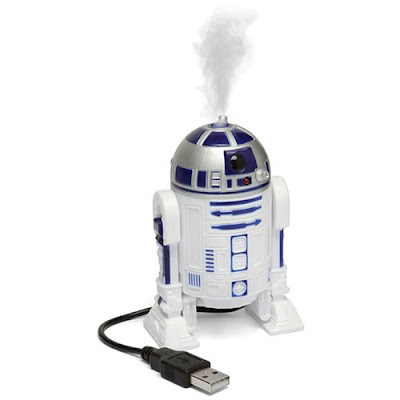 R2-D2 USB Humidifier: The R2-D2 USB humidifier can increase the humidity at your desk, just pull off its head, put some water and connect it to your laptop. R2-D2 USB Hub: R2-D2 has four full-speed USB ports on its front. 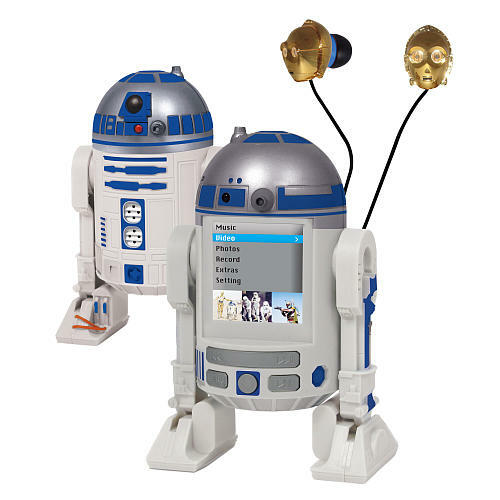 R2-D2 Speakers: To open the speaker you need to flip the head of the R2-D2; each speaker measure about 12cm, and can be connected to your laptop or MP3 player via a standard 3.5mm stereo plug. R2-D2 PC Casemod: Cool computer casemod created by Frenkie. R2-D2 MP4 Player: R2-D2 MP4 player can store about 500 songs on its 2GB storage space. 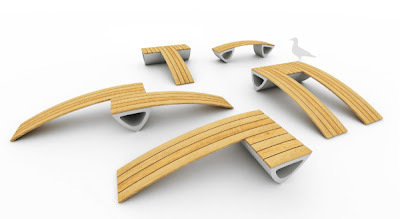 15 Creative Tools and Unusual Tool Designs - Part 2. 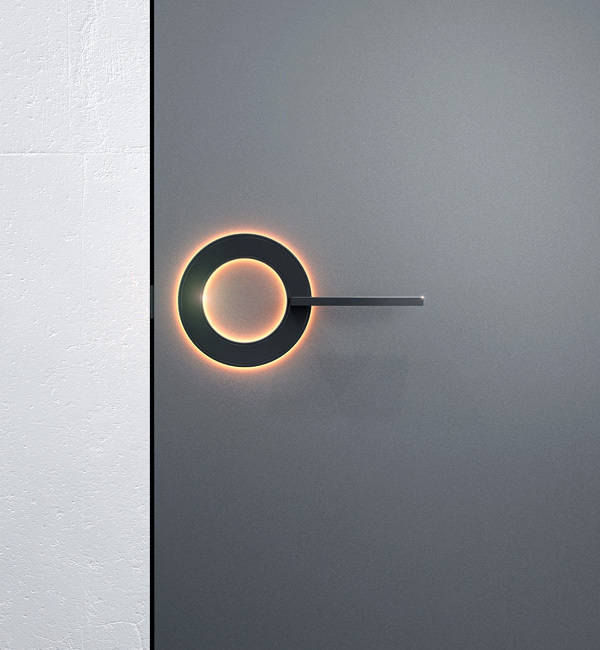 15 Creative Radiators and Unusual Radiator Designs. 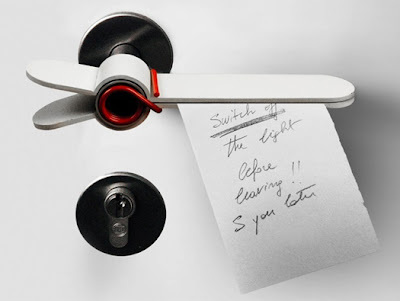 15 Cool Wall Hooks and Creative Coat Racks - Part 5.